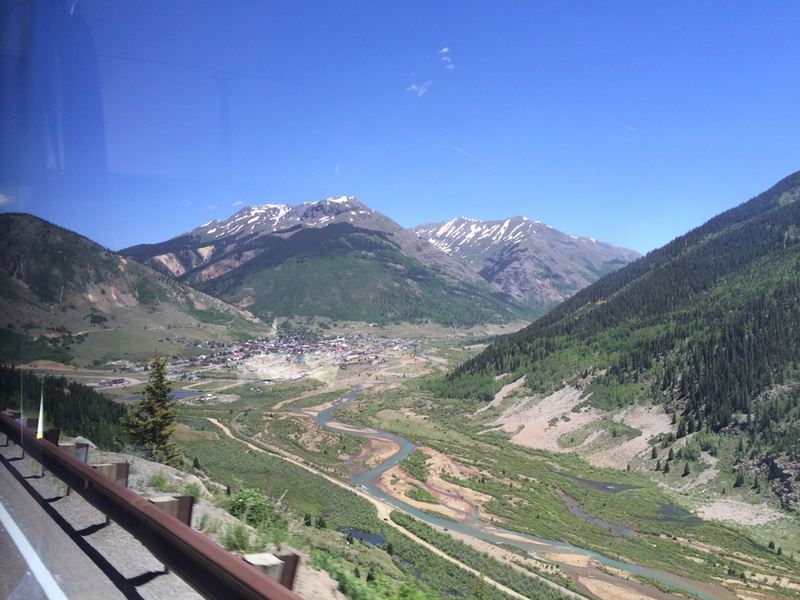 After our morning rafting trip we were driven in a shuttle an hour north to Silverton. 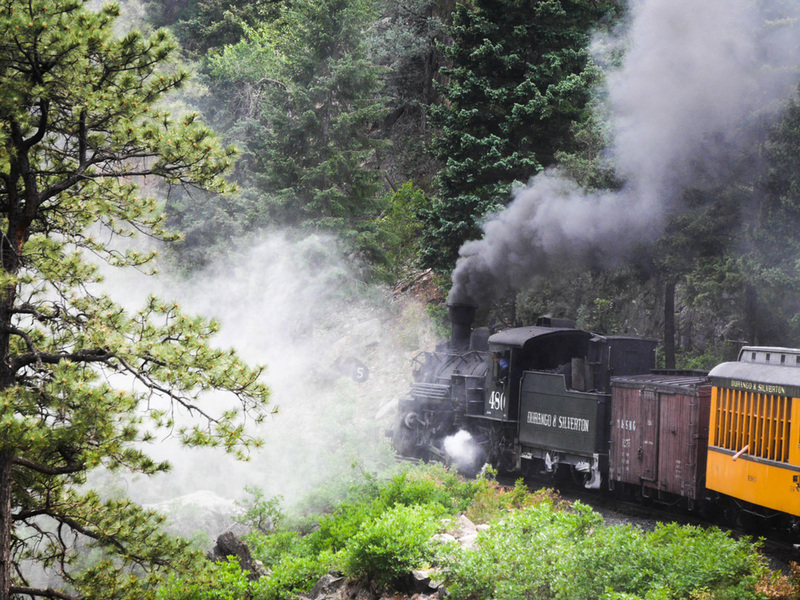 One of the popular things to do up here is to ride the historic train that runs between Durango and Silverton. However we heard the suggestion from quite a few people to only take the train one-way. It is a 3.5 hour ride just one way, so why double it? Apparently it isn't double the fun. So we followed the advice. We had lunch at a fun restaurant called Handlebars Food & Saloon that is full of character. We discovered Rocky Mountain Oysters on the menu. We'd never had them. Another first today! After lunch we walked among the downtown shops until it was time to board the train. 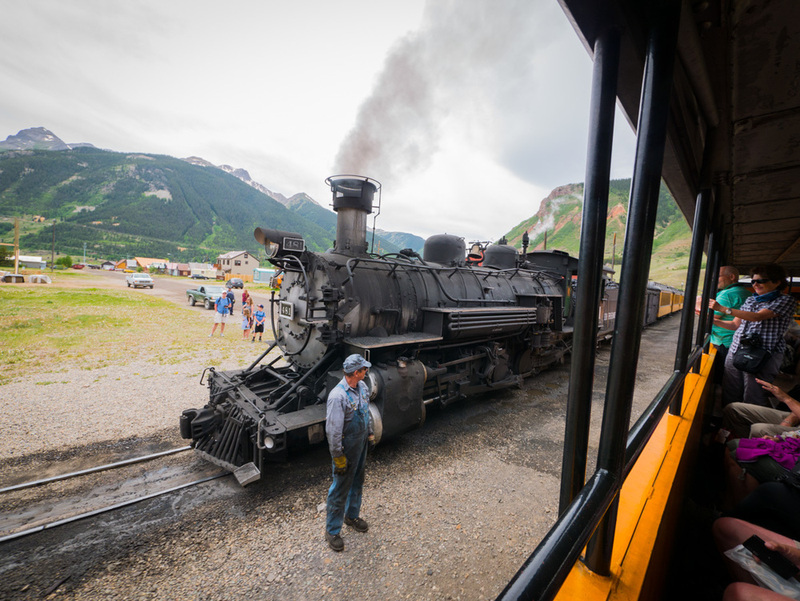 Silverton is a very old town and has a lot of history. We didn't look very deeply into that history so I'm not the one to tell you all about it. 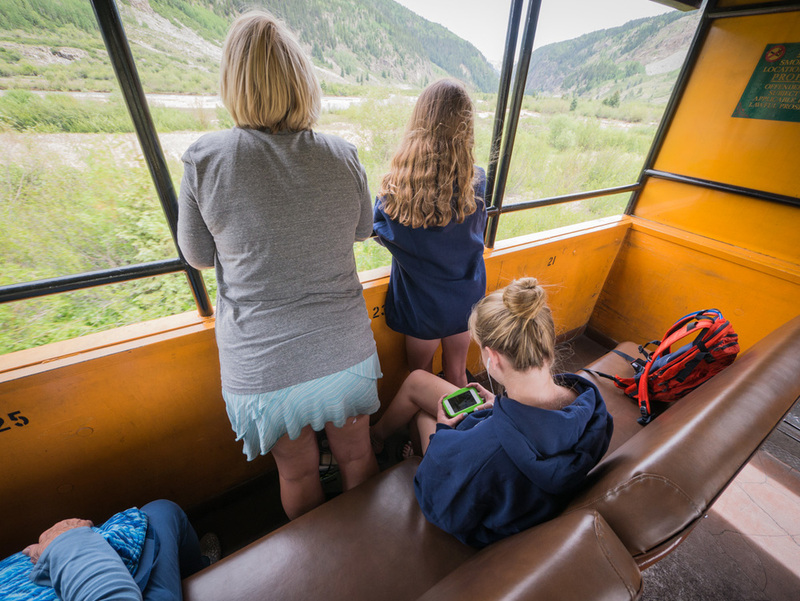 We sat in one of the open-air cars, which I rather enjoyed even though it meant experiencing the smell of the coal-fired steam locomotive's pungent smoke. 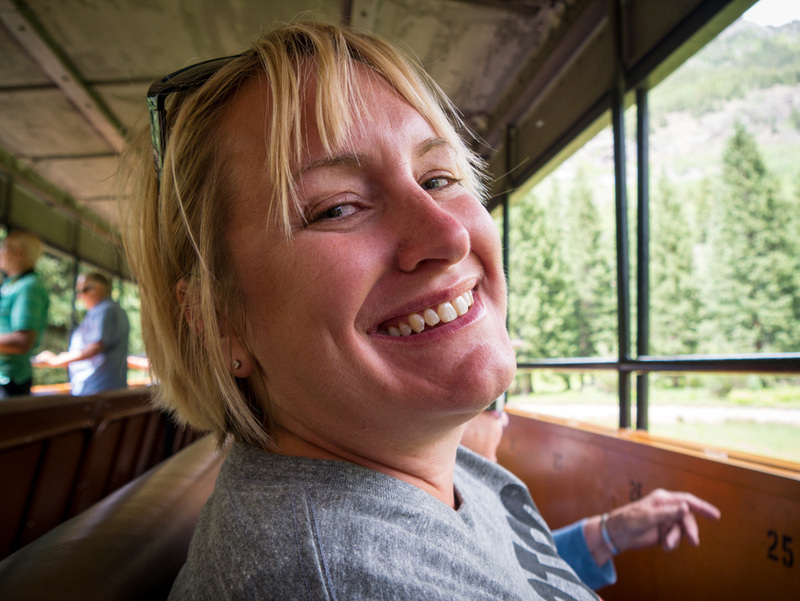 Tessa said this was her first train ride. Three firsts in one day! It was a long journey back but it was fun. 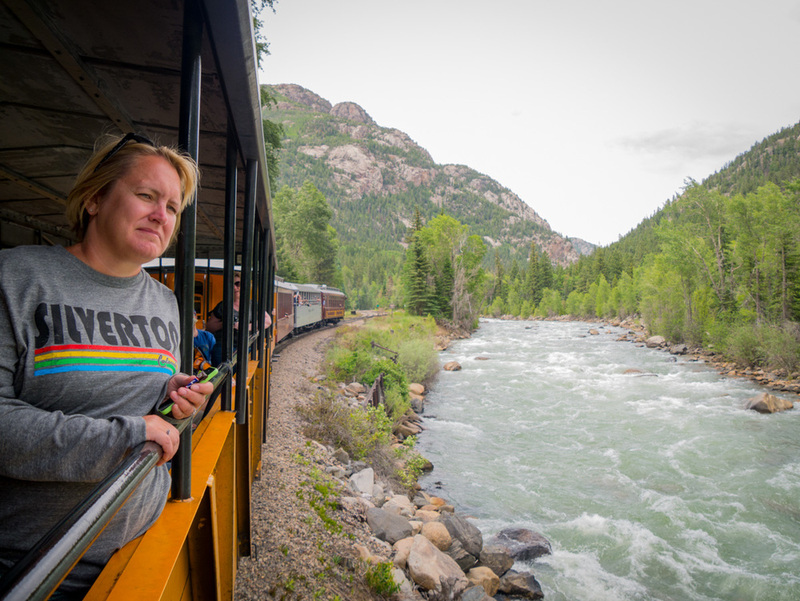 This is deeply beautiful country and this was a special way to travel through it. Afterwards we drove north of Durango, past our RV park to the Olde Schoolhouse Cafe to pick up a pizza. This place was recommended by our RV park neighbor who knows the area. The place is a little bit divey inside with signed dollar bills, underwear and other random objects stapled all the walls. However the pizza was delicious and we left a little bit of ourselves behind.